‘I started volunteering at the Scottish Political Archives in the final semester of my third year having heard about the work that Sarah and the other volunteers did at a workshop put on by the History department. At the time, like many other students nearing the end of their studies, I had no idea what I wanted to do post-university. The only inclination I had was that I wanted to be working in an area which related to my degree. 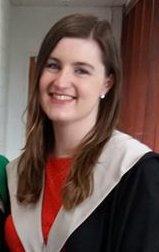 One year later and I have now graduated from the University of Stirling, and have found a career path I am excited to progress down following the completion of my Masters course in Archives and Records Management at the University of Glasgow. My main focus for the past year has been assisting the creation of an archive of papers donated to the University by Jack McConnell relating to his time in office as First Minster between 2001 and 2007. Through this project I’ve learnt about the different stages of creating an archive, working my way through the initial sorting of materials to creating file listings and digitizing archival materials and cataloguing collection materials. Alongside this I’ve collected and listed materials relating to the 2016 General Election and the 2016 European Referendum, and have also learnt about restoring and preserving documents which have previously been damaged. In conjunction with this, I helped with the curation of exhibition displays and installation of exhibitions, and latterly taking them down again (I learnt the hard way never to take down vinyls after having a manicure, it’s really upsetting). Deciding to volunteer at the Archives has not been disappointing, and my only regret was that I didn’t decide to do so earlier on in my studies. Working with Sarah and the other volunteers has been enriching, fun, and never dull, with no two days being the same and always having a new task to sink my teeth into. In two weeks it’ll be my final time climbing to Pathfoot hill to start my afternoon of volunteering, and whilst I am going to miss working with these amazing people and interesting projects, it also marks the beginning of the next chapter. My time at the Scottish Political Archives has given me a hatred for staples which I never had before, and has set me up with the best foundation of learning in archives that I could ask for, and so I whilst I am slightly nervous of starting my postgrad, I am also confident and excited knowing that this is where my career starts.